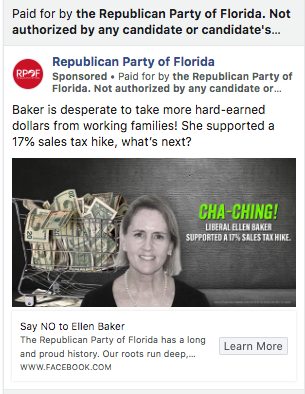 With less than a week out from Election Day, we took a look at some of the most impactful races across the country that nobody is talking about…or advertising in: state legislative races. While they often get less play in the media, state legislative chambers decide laws ranging from voting rights to health care reform to environmental protections. In a majority of states across the country, state legislatures also play a role in drawing their states’ congressional maps, which will take place next in 2021. Back in 2010 – the last election cycle before redistricting took place, Republicans gained over 700 state legislative seats, impacting their party’s power in states and nationally for a decade. 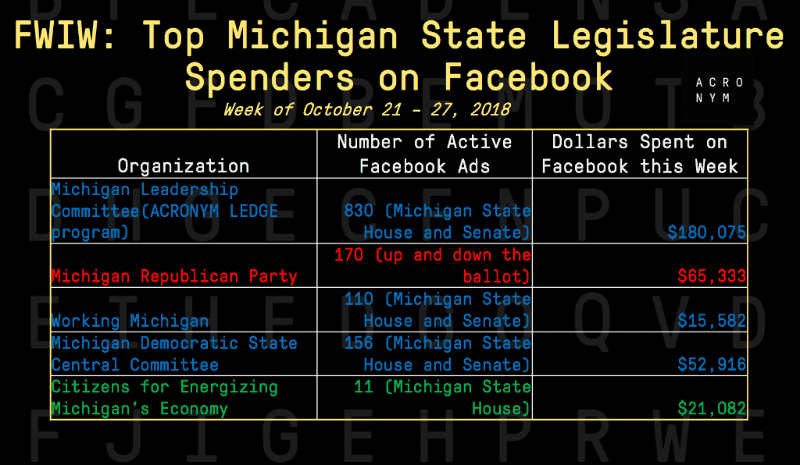 Going into GOTV weekend, here is the UPDATED list of the top Federal spenders on Google platforms. 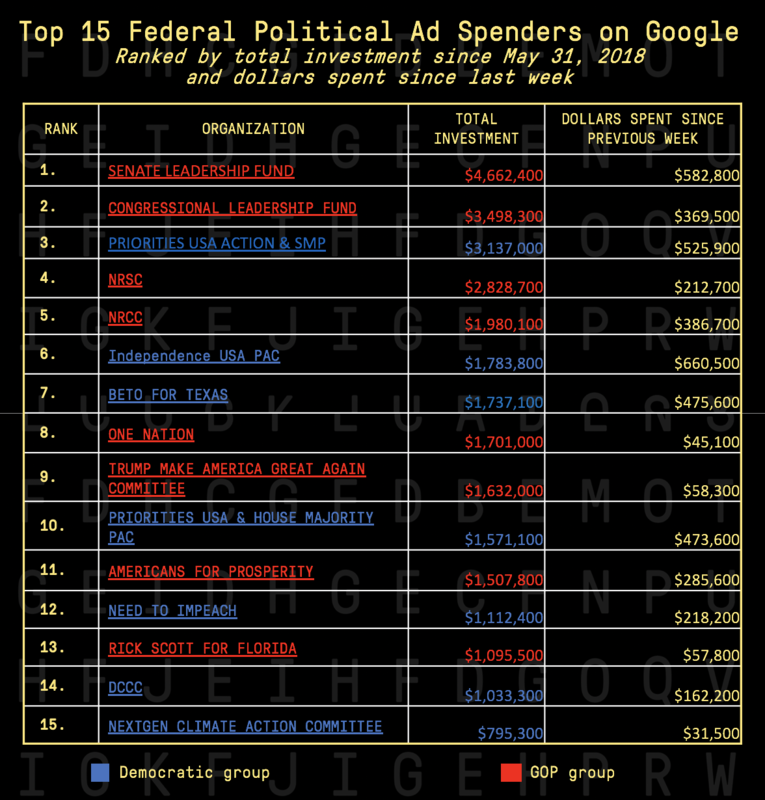 For the second week in a row Bloomberg’s Independence USA PAC had the highest weekly spend on Google for Federal candidates. 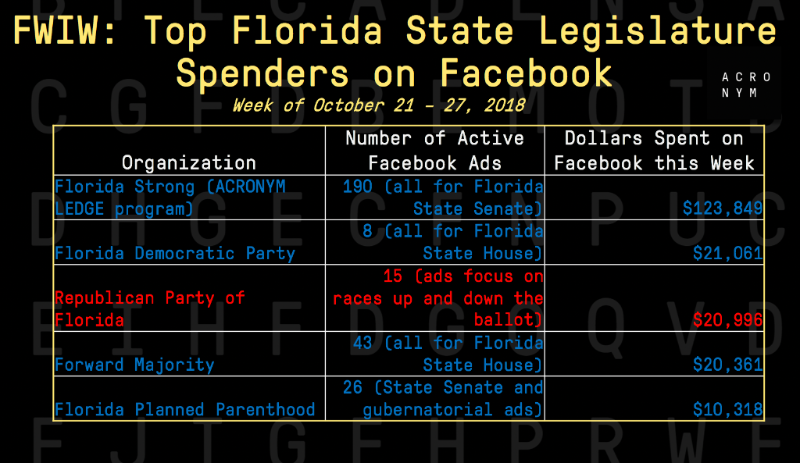 On Facebook, however, this week’s top spender was Texas’ Beto O’Rourke, who spent $938,858 from October 21-28 – on Facebook alone. Of the 7,383 state legislative seats across the country, a full 82% of them are on the ballot on Tuesday. And this year, hundreds of millennials and a record number of women and first-time candidates are running for office across the country – many of whom can flip the balance of power in state legislative chambers and lower the average age of state legislatures significantly. State legislatures hold immense power – not just in passing laws related to health care, education and transportation, or drawing Congressional maps, but they’re also the place both parties can build their bench of future statewide or national leaders. But most of the investment – especially on digital – remains focused on races at the top of the ticket. 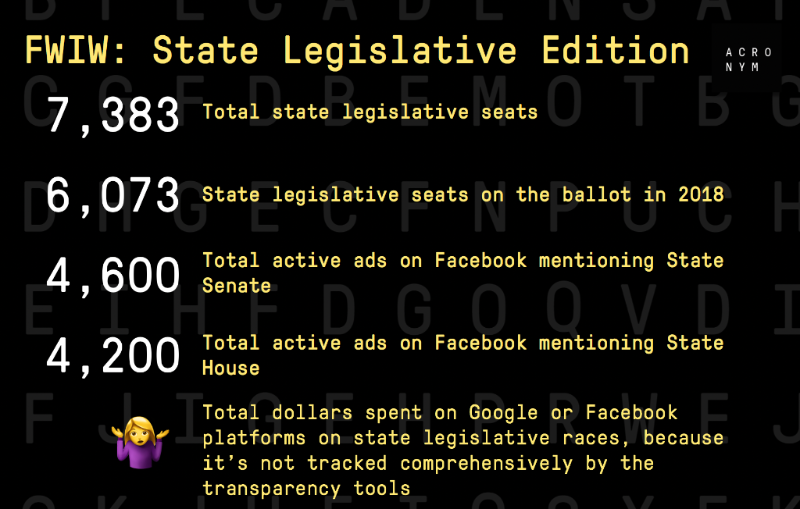 So this week, we looked at two states where party control of state legislatures could flip, and who is running digital programs to make that happen. 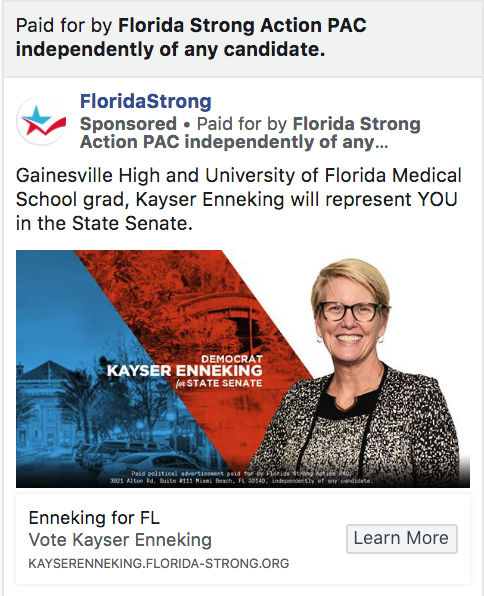 While millions of dollars are being poured into House and Senate races in Florida (to the tune of $6.8 million on Google platforms alone), Democrats also have an opportunity to gain control of the Florida State Senate, which would break the GOP’s trifecta in the state for 18 of the last 20 years. Democrats need to gain just 5 seats in the upper chamber to win the majority- and 20 out of the 40 seats are on the ballot this cycle. 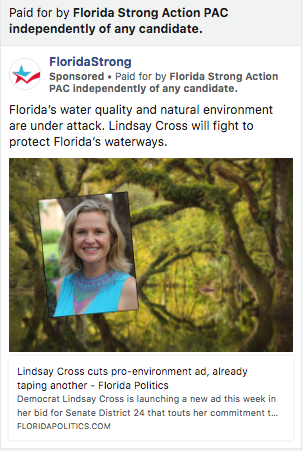 As part of ACRONYM’s LEDGE program, a $10 million digital campaign to elect progressives to state chambers across 6 states, we are supporting a half-dozen candidates running for the Florida State Senate. 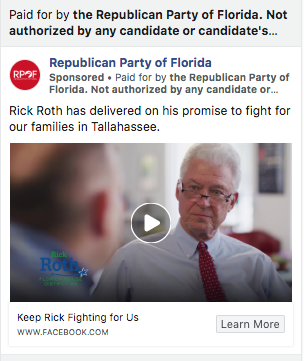 Here are a few of our ads aiming to raise these candidates’ name ID in their communities. 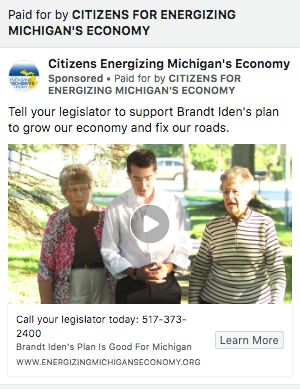 Another state where people are paying attention to state legislative races is Michigan. Both the state house and the senate are held by Republicans, but Democrats need to pick up less than 10 seats in each chamber, and every seat is on the ballot this cycle. 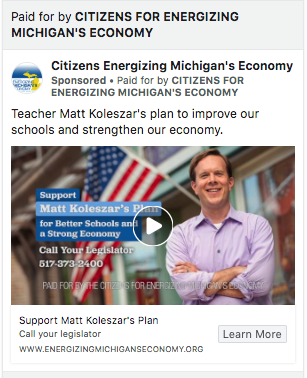 The Michigan Senate also has term limits, so more seats are vacant this cycle in Michigan than other states, leaving greater opportunities for Democrats to capitalize on national momentum. As we’ve run our LEDGE program, we’re consistently surprised at the lack of investment on digital in these races – especially when so many voters don’t finish their ballots because they don’t know who is running for these seats. Digital has the power to make the difference in these races – particularly in raising name ID of candidates so voters know who they are – and these investments can tip the scales in races whose margins are at times as thin as a coin toss. On Election Day, we’ll be monitoring these chambers closely, in addition to state legislative races in Pennsylvania, North Carolina, Wisconsin and Minnesota. Check in with us at [email protected] or follow us on Twitter at @anotheracronym for updates. Thanks for reading FWIW. Good luck in the home stretch. We’ll see you on the other side. Don’t forget to vote! Make a plan to vote and find your polling place at plan.knockthe.vote. And here’s a sign-up link you can share with friends and colleagues so they can join FWIW – after they make their plan to vote, of course.